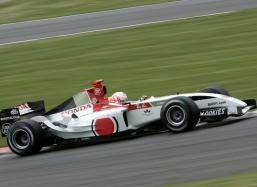 The British Formula One Grand Prix is the motor racing event of the year. Silverstone holds a special place in every F1 fan’s heart and, with achievable speeds of more than 180mph, it is one of the world’s fastest circuits. Ticket and hotel packages F1’s British Grand Prix Breaks are currently not available. The festival atmosphere that takes over the race track, on both practice days and race days, is contagious, with teams and visitors on our British Grand Prix Packages alike, enjoying what to many is the Grand Prix of the season. The occasion creates just as much drama as the events that maybe Theatre Breaks is usually associated with so we thought it worth including. The British Grand Prix is the ninth race in the 20-race season and takes place over the weekend of 7 and 8 July 2018. We are lucky enough to have General Admission tickets for two all day visits to the British Grand Prix on the Saturday and Sunday or just the race day on Sunday. But this is just the F1 action. What the TV doesn’t give you is the head-spinning array of other motor racing action and off-track entertainment available throughout the weekend that you will be able to experience. Ticket and accommodation packages for the 2018 British Grand Prix are now available to book and we have great offers for discounted rail travel too! However you decide to get there, it will provide everything you need for your British Grand Prix Package. All day General Admission tickets for the practice sessions and British Grand Prix on Saturday and Sunday (7th & 8th July 2018) or just Race Day (8th July). The price for the full package for ticket and accommodation packages for the 2018 British Grand Prix Race Day package (2 nights) is £259 per person sharing a twin room whilst the 3 night, whole weekend of racing and practices is £322 per person – based on 2 people sharing a twin/double room. The accommodation for the breaks is for the nights either side of the action – Friday to Sunday for the Race Weekend or just Saturday and Sunday for Race Day Packages. Optional extras include discounts of up to 40% on rail travel from any UK Mainline station. Just select your departure point and add the train ticket when you come to confirm your package.